With smartphone use slated to reach 2 billion in the coming years, it’s no surprise that more than 65 percent of workers consider their personal mobile devices to be the most critical work device. The proliferation of mobile devices has encouraged employees to access work-related information on corporate networks through their personal smartphones and tablets. With the rising need to be more productive and efficient, the “mobile workforce” is becoming a true necessity among the businesses across the globe. This trend is known as “Bring Your Own Device (BYOD),” which is one of the biggest shifts in the IT industry in the past couple of years. Improved productivity of the end user to do perform his/her job anywhere and anytime. Cost benefits as it eliminates the need to buy and issue new devices to the end-users (employees). Before you even plan or start implementing an effective strategy, it is important that you consider the impact on your business, legal, technical, and governance departments. Also, you should understand how those teams worked with the devices already at their disposal. Managers should identify what kinds of issues could arise when integrating employee-owned personal devices within the enterprise network. Once you understand the existing business environment and future requirements, only then you can move ahead by identifying BYOD goals. 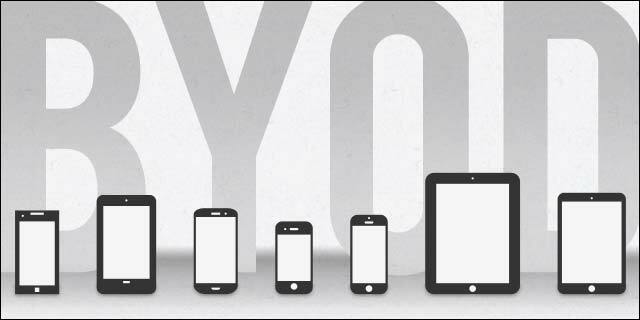 Once you know your business and regulatory process, it is time for you to define your BYOD objectives. It is important that you define BYOD objectives with a clear understanding of how they align with the overall goals of the organization; keep goals closely bound to your enterprise’s core objectives for the best results. Are you going to provide any kind of stipend to the employees for buying mobile devices of their choice? What kind of technical support you’re going to provide? What about replacement or repairing damaged devices? Ensure that you cover each and every possible scenario while establishing a BYOD policy in order to make a strong strategy for your enterprise. Identify and understand the security and compliance associated with it, too. Make sure you understand your organization’s risk threshold by carrying out a detailed vulnerability assessment while evaluating security and compliance needs. Document the possible impact of your current BYOD situation on all those needs. Employee ownership of devices brings an entire set of different challenges and requirements when it comes to implementing security, deployment, and maintenance of software. An effective installation plan includes user profiles, self-provisioning, auto-certification and more. It is important to consider all these requirements and make an appropriate plan to formulate a robust strategy. This is one of the most crucial things to do when implementing a BYOD program. Provide training to your employees on how to use their mobile devices for work. Ensure that you educate them about all the possible security risks and the associated best practices. Doing so will reduce the likelihood of unauthorized access within the enterprise network. You can find various tools in the market to help you protect your network and data from the vulnerabilities posed by mobile devices. Ensure that you choose the right kind of technologies based on your objectives and goals. A carefully considered and planned BYOD implementation strategy can help your startup adopt and respond quickly to the challenges and opportunities offered by the proliferation of smart mobile devices. These basic guidelines should give you a good start in forming a successful BYOD strategy for your company. Nilesh Talaviya is working as a mobile strategist with Cygnet Infotech, a top-notch enterprise mobile app development company focusing on providing mobility solutions globally. Get in touch with Nilesh at nctalaviya@cygnet-infotech.com to discuss ideas on the topic.